Vicenzo Maffione is a veteran Italian PADI Dive Instructor, who has been diving among the worldwide coral reefs for more than 20 years. 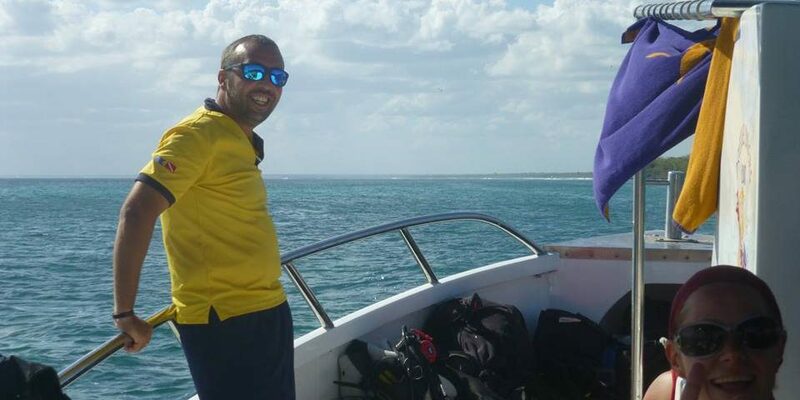 Nowadays, he works as Base Leader at the Dressel Divers Dive Center in Bayahibe (the Dominican Republic). But, a part from being an outstanding professional and a hard worker, Vince is a really nice guy. He always has a smile on his face and will tell you those motivation words that will cheer you up on a hard day. If you ever have dived with him, I’m sure you will be wishing to know more about his beginnings in diving, his favorite places to dive or what are his other hobbies besides diving (are there really other hobbies? LOL). In case you still don’t know him in person, this is a good opportunity to discover this great guy. Come with me!, Let’s fly to the Caribbean to meet him for a chat! I did my first dive in 1996, when I was only 17 years old. Let me think…. for sure, the most incredible one was my first deep dive in Italy, on the Wreck of Heinkel 111. It is a great wreck with a lot of life, and it also was one of my first tech dives!! 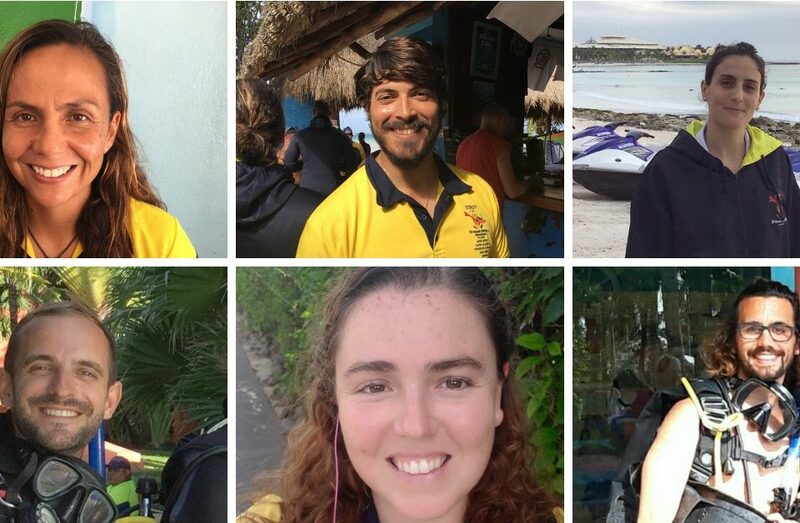 During my rescue course I realized being a Dive Instructor in Bayahibe was going to be the job of my life. Were and with whom did you do your instructor course? It was on March 18th, 2001, in Italy with Massimo Zarafa, the same guy that now is the PADI Regional Manager for Europe. First of all, the love for what you are doing. Second, the professionality of giving a great service, no matter what. 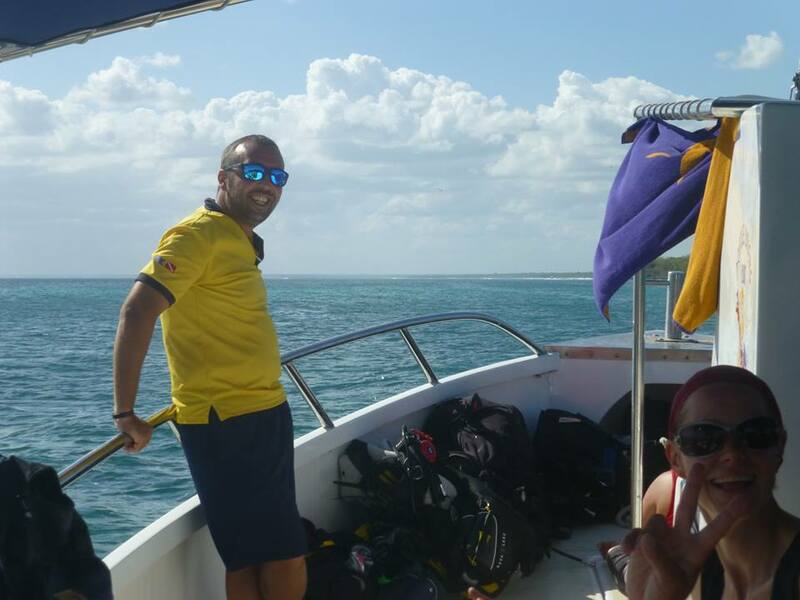 Scuba Diving you can see places that otherwise you can only watch on TV (Vince, Dive Instructor in Bayahibe). Scuba diving you will be able to see places that otherwise you can only watch on TV. You have to be part of the action, not only watch it!!! In total, I have been with Dressel Divers almost 6 years. 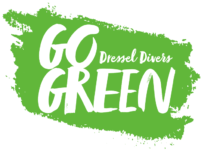 I really like to follow the Scuba Diving rules, and Dressel Divers is one of the best companies doing this. I would love to go to Cozumel. I was already there in 2005 and I love it. I also would like to go to the Pacific side of Mexico. It is a great place to understand what working really means. Personally, I can say that thanks to what I learned at Dressel Divers, I always will find a job in no time. They give you a set of tools that not many others can provide. 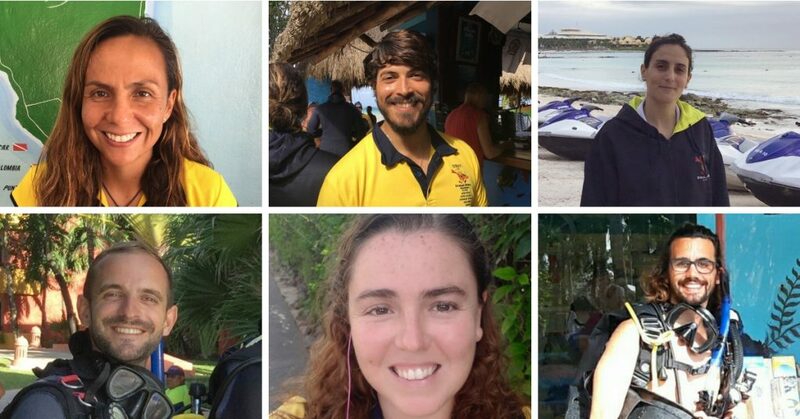 What is your most memorable moment with students while you have been a dive instructor in Bayahibe? It probably has been during the last months, during the sidemount courses with my instructors. It is great to see Diving Instructors falling in love with different ways of diving. There is always something new to learn!! Many of my ex students do, yes. What are your other hobbies? What do you do on you day off in Bayahibe ? I know it can sound monothematic, but usually, in my day off, I practice cave diving. Just two km (1.24 miles) away from my house, there are three great caves, and I cannot see a better way to use my spare time than diving!!! 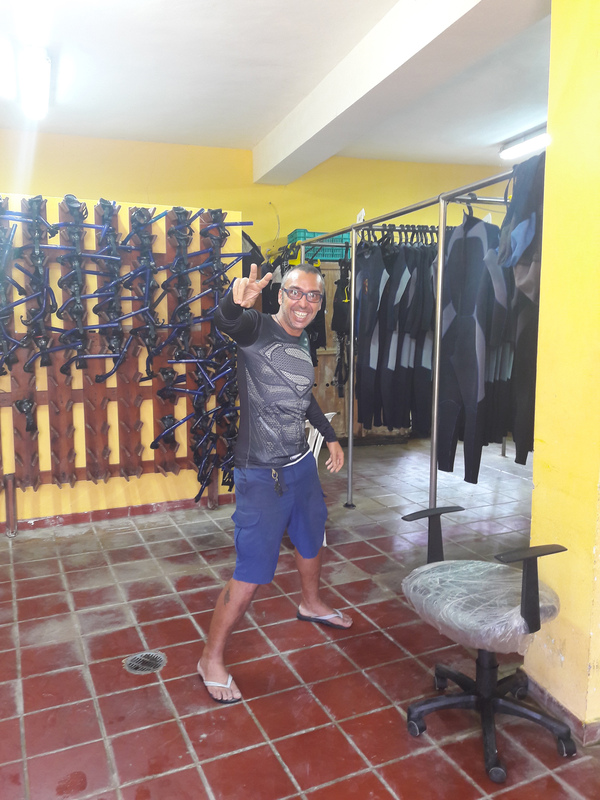 What is your best Trip Advisor review as Dive Instructor in Bayahibe? They are all good, I don’t receive a lot of personal reviews now, because my job is a little more behind the action. For sure, I would recommend them to visit the caves of this area. They are really close to us, and for sure they won’t regret the choice! !